In Colorado, severe beetle infestations showed up in lodgepole pine forests about 50 miles west of Boulder and Fort Collins around 2000. Over time, the affected area grew so that by 2011 the infestation had spread east to ponderosa pine forests that were much closer to the two cities. 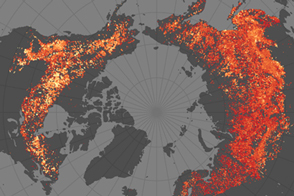 (A map showing the progression between 1998 and 2011 is available here). The beetle epidemic caused so many trees to die-off that the impacts are visible from space. 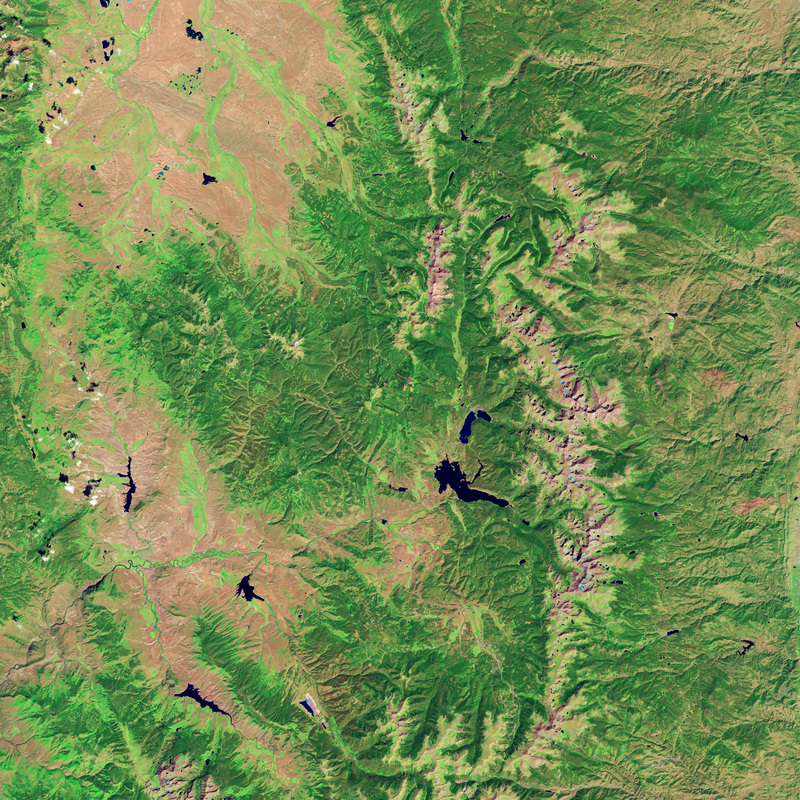 The Thematic Mapper on Landsat 5 acquired these images of lodgepole pine forests near Grand Lake, Colorado on September 11, 2005, and September 28, 2011—before and after a severe infestation led to die-off of the tree canopy. 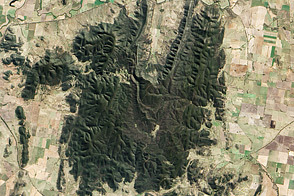 Over six years, beetle activity turned entire ridges and valleys brown. 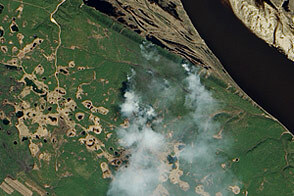 Forest die-off is most visible in the center of the image and along both sides of the Kawuneeche Valley. 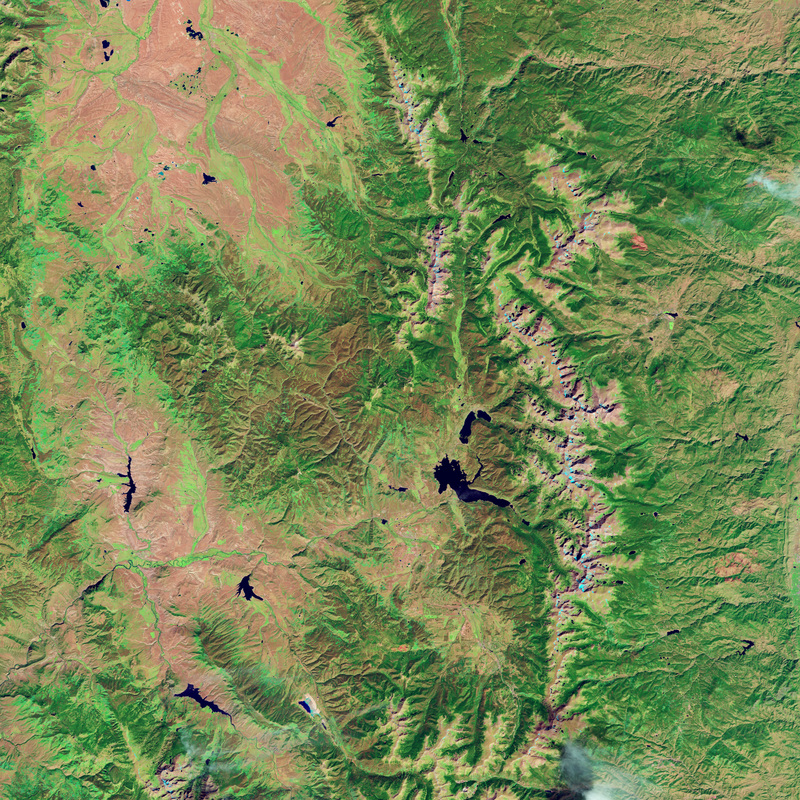 The brownest areas in the 2011 image are generally stands of lodgepole pine, a slender tree that grows at 6,000 to 11,000 feet (1,800 to 3,300 meters) in elevation. Either spruce or aspen dominates the green areas that escaped infestation, such as the forests near Gravel Mountain and areas west of the Kawuneeche Valley. Not all of the browning is due to beetles. 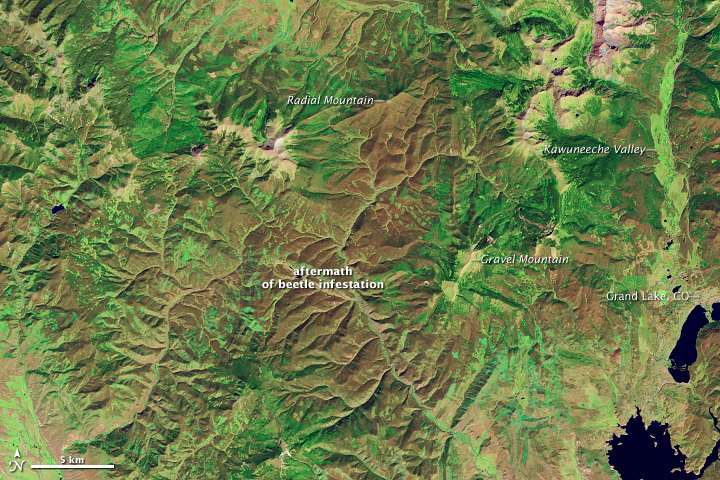 In the upper central and lower right of the image, logging has also had an impact. And despite the beetle damage to the upper canopy, the forests are anything but dead. Even in the most severely affected areas, large numbers of trees survive. It has been suggested that all the dead needles and trees trunk left after a beetle infestation must make wildfires more common and severe. It wasn’t uncommon for beetles to get the blame for exacerbating the destructive High Park fire that raged near Fort Collin in June 2012. Researchers do think pine beetles can affect the risk of severe fires, but the impacts are not always straightforward. The most dangerous fires—crown fires—leap from treetop to treetop in an explosive wall of flame, rather than creeping along the ground surface. For the first few years after an infestation, beetle-impacted forests may have an increased risk of crown fires due to the dry needles that remain clinging to the tops of dying trees. But as these needles—and other debris—drop to the ground, the risk of crown fires drops as well. According to one study, forest die-off from pine beetles infestations can reduce the risk of crown fires for decades by thinning forests. Thomas Veblen, the head of a biogeography research group at the University of Colorado that has also studied the link between beetles and fires, shares Romme’s skepticism. One of the telling features of the image pair above, Veblen noted, is the lack of burn scars. Beetles started attacking the area during the early 2000s; but even as trees have been dying, there has not been a significant fire. “While dead trees from pine beetles provide a teachable moment for discussing fire hazard, the underlying factor explaining the increase in area burned across the western U.S.—which is well documented—since the 1980s is warming,” Veblen said. Hicke, Jeffrey. (2012, February 12). Effects of Bark Beetle-Caused Tree Mortality on Wildfire. Forest Ecology and Management. 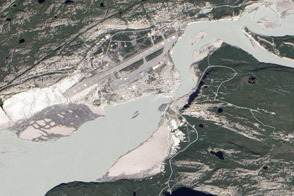 NASA Earth Observatory image created by Robert Simmon, using Landsat data provided by the United States Geological Survey. Caption by Adam Voiland, with information from Thomas Veblen and Bill Romme. Pine bark beetles have been ravaging forests in the Rocky Mountains. Colorado State University. (2012, July 7). Colorado’s Forest Types. Accessed July 26, 2012. Daily Camera. (n.d.) CU-Boulder Researchers: Pine Beetles Not Always Tied to Increased Fire Danger. Accessed July 26, 2012. Schoennagel, T. (2012, January 17). Effects of Mountain Pine Beetle on Fuels and Expected Fire Behavior in Lodgepole Pine Forests. PLoS One. Simard, M. (2011). Do Mountain Beetle Outbreaks Change the Probability of Active Crown Fires? Ecological Monographs. USDA. (n.d.). Rocky Mountain Bark Beetles. Accessed July 26, 2012. Westerling. (2006, August 18). Warming and Earlier Spring Increase Western U.S. Forest Wildfire Activity. Accessed July 26, 2012.